If you have a 8V149 Turbo Detroit Diesel engine, then you've got a diesel engine that is made for fast speeds and handling heavy-duty situations. It’s important to use the proper parts for your turbo engine. The parts for a natural engine will not be compatible to your engine’s needs. 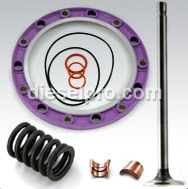 Diesel Pro Power offers the parts you need for your specific engine. 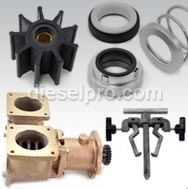 Our 8V149 Turbo Detroit Diesel replacement parts are specifically manufactured to be used with 8V149 turbo engines. All the products within this model category are designed to assist this engine with rapidly pushing a dense amount of compressed air through the engine, causing it to build up much more horsepower in a shorter amount of time than a natural engine could. In order to keep your 8V149 Turbo engine working the best that it can, you need to regularly check and maintain your engine. Certain parts on your engine might need to be replaced if they aren't working properly. For instance, if you're experiencing problems with your gauges getting stuck, then you might need to replace them. 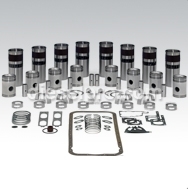 Likewise, if you're having trouble with your crankshaft or any other part of your engine, you might need a new kit to replace the defected item. We offer you a troubleshooting guide that you can refer to in order to help you diagnose what's wrong with your engine and the steps that you should take to correct the problem. Our guide is designed to assist you whether you're an expert mechanic of diesel engines or just the owner or operator of one. 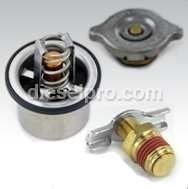 All our parts ship to your quickly and anywhere you are located. Our international shipping and fast shipping is designed to convenience you.